Galley kitchens get a bad rap. Perhaps it’s their association with inadequate storage, cluttered countertops, depressing lighting or a bulky fridge that mucks up any hope of a clean-lined space. But forget all that — these five stylish galleys will banish those impressions. 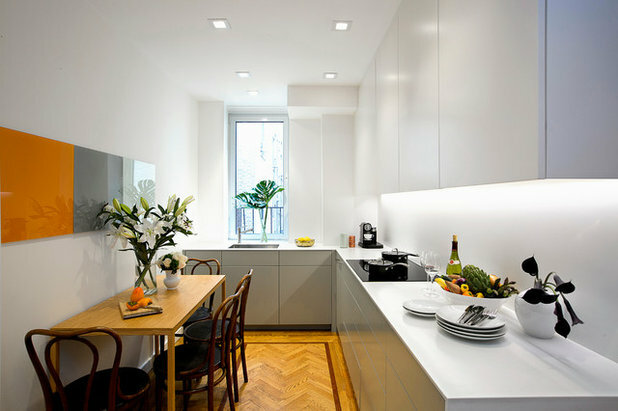 And if you’re dealing with a galley that feels more like a back alley, learn from the smart moves these design professionals made. 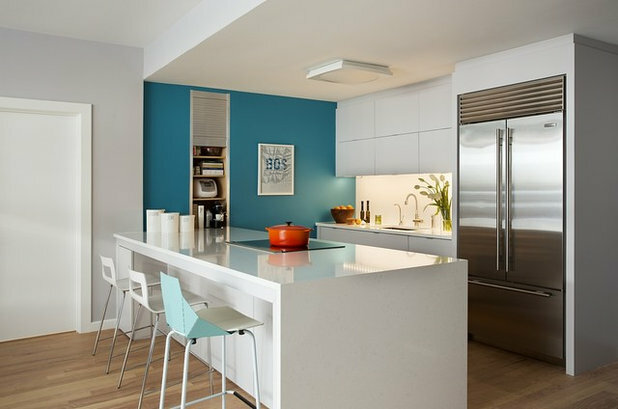 Even though galley kitchens tend to be small, remodeling them can be overwhelming. 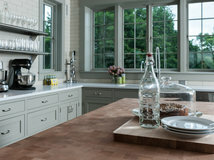 A design pro can help you create a kitchen that maximizes storage, functions well and suits your style. 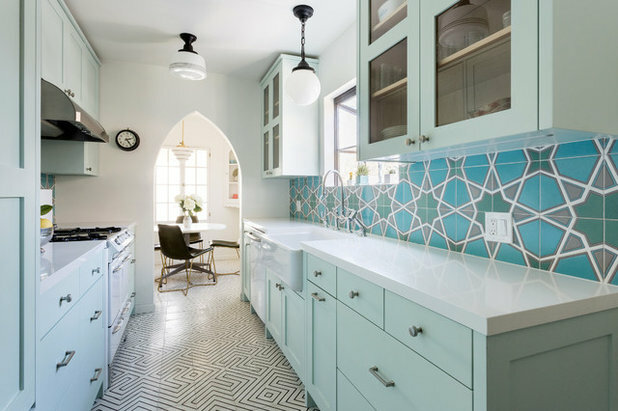 These creative Los Angeles homeowners hired interior designer Lucie Ayres of 22 Interiors to help them pull their galley kitchen together. 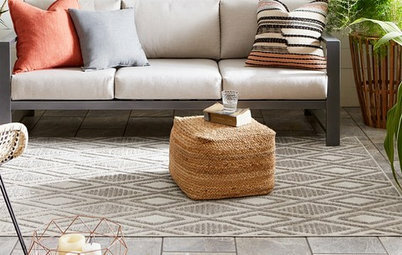 Ayers knew that her clients wanted to add interest to the long and narrow space. 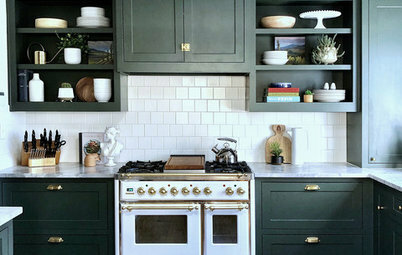 The bright backsplash tile is a big pick-me-up that’s complemented by a black-and-white cement tile floor. 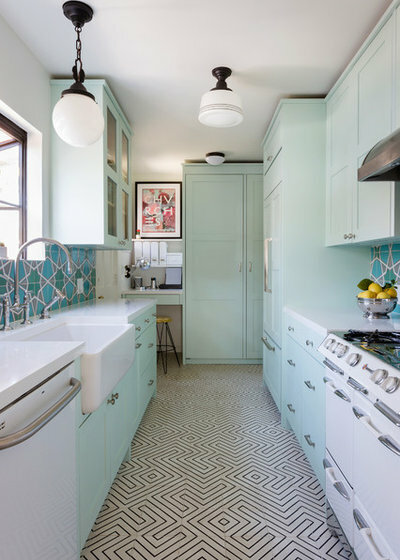 Light aqua cabinetry, carefully selected light fixtures and a vintage stove maintain a retro vibe. 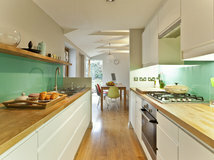 Smart moves: Using a counter-depth panel-front refrigerator keeps it from jutting into the traffic path. Extending the cabinetry to the ceiling maximizes storage. The designer also reserved the back of the room for a workspace and a cabinet with retractable doors that conceal the washer and dryer. This Toronto homeowner owns a restaurant, so he already knew how to make a kitchen function well. But he turned to BedfordBrooks Design for help in maximizing storage and finding a style that would suit his Victorian-era home. They landed on this charming bistro-inspired look. 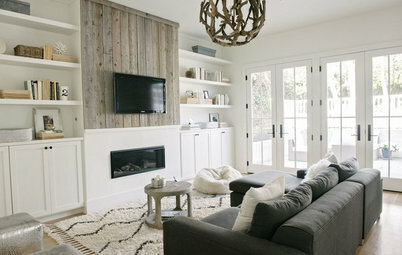 Oversize round lights draw the eye up in the long and narrow space. A deep, 7½-foot-wide island-like storage area in the center and double-stacked upper cabinets provide scads of storage. 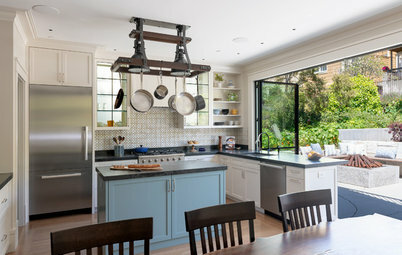 Smart moves: Instead of altering the original layout of the house by completely opening up the kitchen to the dining room, the designer created this wide pass-through that serves as a breakfast bar too. 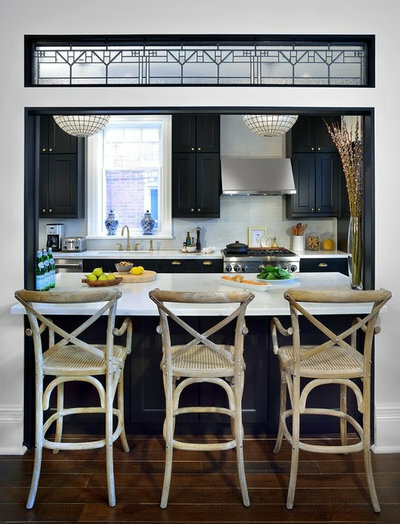 It’s topped by a leaded-glass transom that also suits the home’s period style. Limiting the opening to the pass-through allowed the designer to load up the space around it in the kitchen with cabinetry. 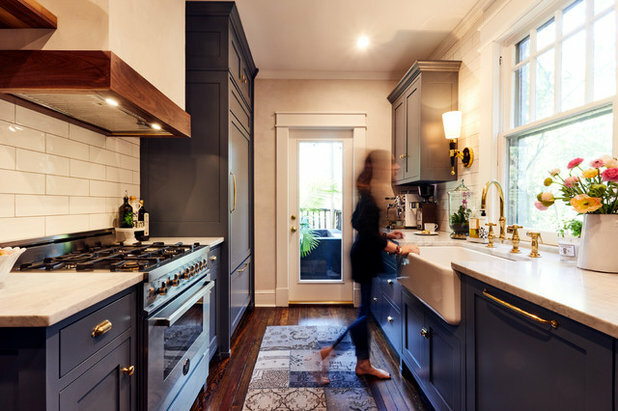 These artistic Atlanta homeowners deliberately went from a U-shaped kitchen to a galley kitchen and find that it functions well for the way they like to work together. The well-traveled couple were inspired by spaces they had seen in New York City, Milan and Paris that were modern yet rooted in history. 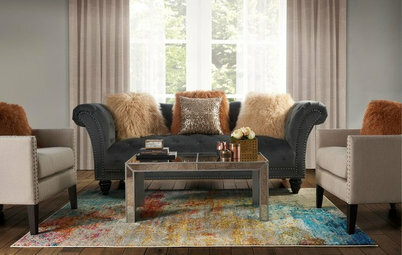 They worked with interior designer Micaela Quinton of Urban Purpose Design, who helped them implement their ideas. 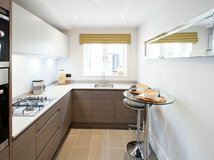 The sink, range and fridge create a work triangle with ample counter space around it. They also have a designated coffee station on one end of the kitchen and a recessed niche to house their KitchenAid mixer on the other. 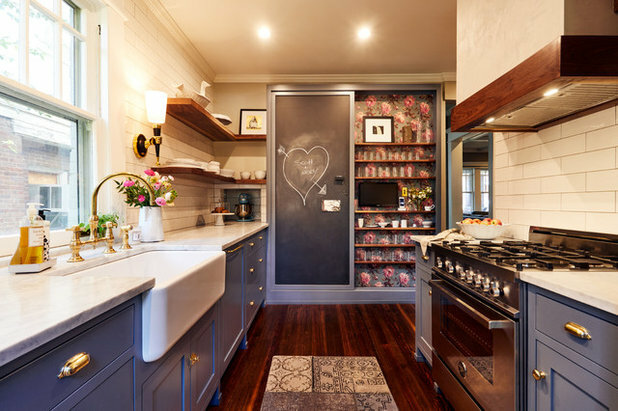 Smart moves: The pantry has food stored behind the sliding chalkboard door on the left, and display-worthy glassware, a small TV and other objects on the right. The pantry’s shallow depth makes it easy to find items. The peony wallpaper behind the shelves makes it a feature. This tight Manhattan kitchen was jampacked with cabinetry, had an oppressively low ceiling and was painted in shades of beige. 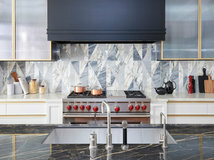 Designer Cecilia Dupire of Cezign raised the ceiling a foot and replaced overly ornate cabinetry and moldings with sleek alternatives. She also replaced a bulky refrigerator with a panel-front fridge and two freezer drawers. The induction cooktop has a pop-up downdraft, freeing the overhead space for storage. One part of the design that’s intentionally not so sleek: an antique table and chairs that add warmth and contrast in the contemporary kitchen. The family can post artwork, notes and messages on the magnetic glass panels. Square recessed lights and undercabinet lighting brighten up the once-dark space. 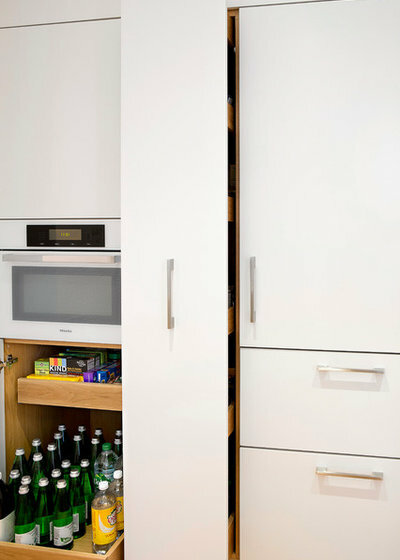 Smart moves: A pullout pantry cabinet and pullout drawers make the most of every inch and provide convenient storage. An opened-up galley kitchen has its pros and cons. On one hand, it tends to feel larger, enjoy more natural light and encourage socializing (and maybe even helping with the food prep). On the other, it means potentially losing a wall of upper cabinets and appliances. 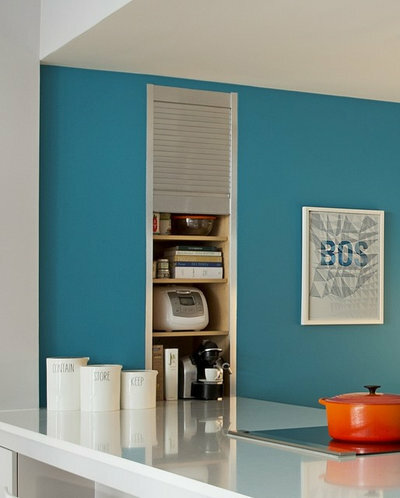 Architect Stephanie Horowitz of ZeroEnergy Design and her husband, Alex, renovated their Boston condo’s open galley kitchen to suit the way they knew their family would function in a tight kitchen space. The renovation included relocating a laundry room-pantry door, which had been where the framed print now hangs. 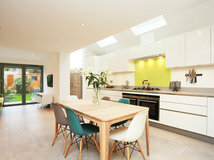 “Having a large door in the kitchen disrupted the flow and access. Plus, laundry and food storage are a bad mix, as a laundry room is often a humid space,” Stephanie says. The upper cabinets that extend to the ceiling increase the room’s storage potential. And, like the Los Angeles kitchen, a counter-depth fridge keeps everything pleasingly streamlined. Smart moves: The appliance garage provides storage space for china, glassware, cookbooks, a rice cooker, an espresso maker and other small appliances. The door pulls down to conceal these items for an uncluttered view from the living room. 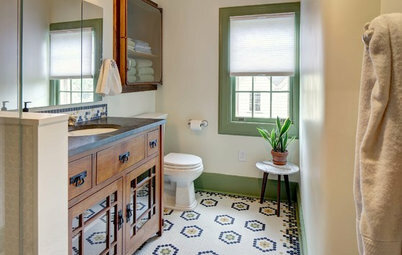 Don’t be afraid to go bold in a small space. Use counter-depth refrigerators and freezer drawers to maintain clean lines. 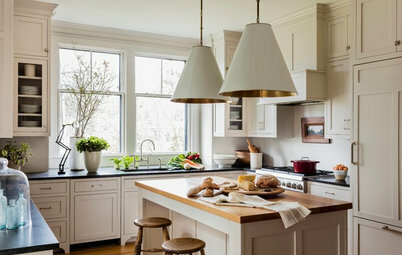 Opt for panel-front appliances for a streamlined look. Consider a pass-through to another room to help make a kitchen feel larger and brighter and to promote social interaction. Prevent small appliances from taking up valuable countertop space by using an appliance garage, specified cabinets or a niche. Or designate well-organized stations for things like making smoothies or coffee. Create layers of light with recessed lighting, undercabinet lighting, and ceiling and wall fixtures. 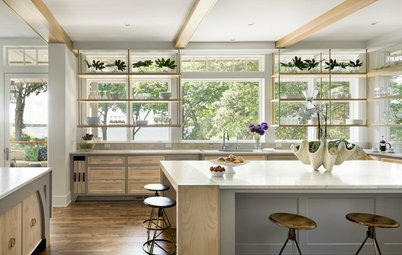 When opening up a galley to another room, consider the views into the kitchen and design accordingly. I had a galley kitchen in my NYC apartment and just a work-in kitchen in my first home. Both were great and had plenty of room for 2 cooks. 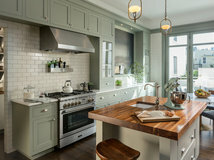 A big advantage is that the work space is separate from the dining space so guests don't see any pots and pans in the sink. Work-in kitchens and galley kitchens make for wonderful and elegant dining spaces for family meals and holiday celebrations. 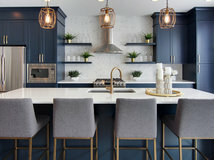 do not be afraid to buy a home with a galley kitchen. They are wonderful and the standard layout for restaurants and professional chefs.